Burning coal comes at a cost. The largest contributors to climate change also stand to lose the most, according to a new study that looks at the so-called “social cost” of carbon. Current U.S. leaders may think our country can withstand anything, but emitting carbon dioxide at the rate we do comes at a price. A measure of the impact climate change will have on a society in dollars, the social cost of carbon is used to influence policy and rules around regulating emissions. 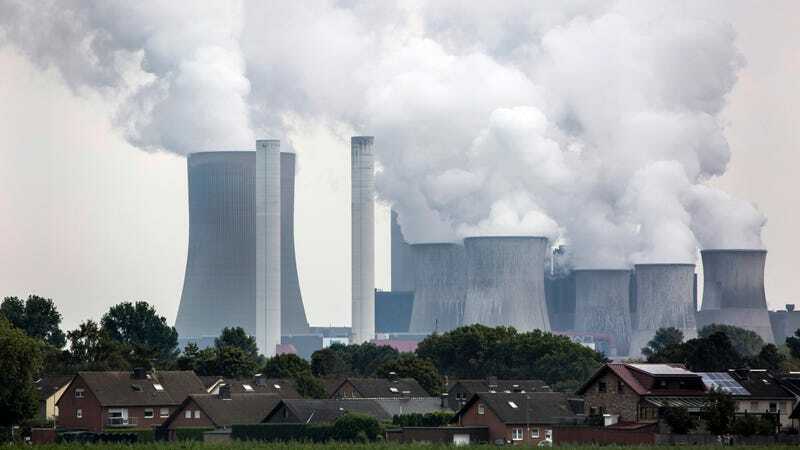 The new study, published Monday in Nature Climate Change, examines the social cost of carbon for countries around the world. The authors found India, the U.S., and China will bear some of the highest costs associated with climate-warming carbon emissions. For the U.S., the study estimates a median social cost of $48 per ton of carbon dioxide emitted. That’s at least eight times higher than the Trump administration’s recent estimate of $1-6 by 2020. Maybe it’s time world powers like the U.S. start cranking it back. The finding shouldn’t come as a total surprise: The social cost of carbon is expected to be larger for larger economies, simply because they have more assets in harm’s way. That doesn’t mean developing countries in the Global South won’t be hit hard by climate change. Ricke and her colleagues reached their conclusions through a four-step process. First, they defined the changes a future economy will see under business-as-usual emissions. They then connected that projection to climate models, analyzing the economic damages that result using a few economic models, and finally calculating the social cost of carbon with a specially crafted formula. The team didn’t look at a future where emissions decrease, but they were sure to conduct an uncertainty analysis every step of the way. Their conclusion? All these numbers are incredibly uncertain. The median social carbon estimates are, however, much higher than the standard numbers governments use across the board. And the U.S. consistently ranked in the top three countries in terms of carbon’s social cost. Places like Canada and Russia, on the other hand, were clear winners. Their cool geographic locations keep them safer from some climate change impacts. Location and economy size are the two main factors when conducting such analyses, per Ricke. Developing economies are fragile in the age of climate change. But as this new study highlights, so is the United States, which will incur costs through natural disasters, disease, and more. And taxpayers will be the ones to foot the bill.